Sometimes life throws a curve ball. We gain a job or lose one. We have unexpected medical bills, need to buy a new car, or have an accident and a decrease in wages. For those parents who share custody and support for their children, this can mean that a child support modification order might be needed. If you think you might need a modification, but are unsure, you should seek out a consultation with an experienced Okmulgee child support modification attorney at Wirth Law – Okmulgee. Our child support attorneys are experienced and compassionate and will help you with the changes you need to make to get your life back on track. Our knowledge of Oklahoma child support laws and our experience in Okmulgee family courts can provide you the confidence that your motion to modify is reasonable and defensible. 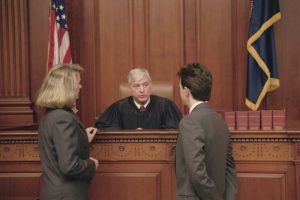 Parents seek modification of child support for a number of reasons, but not all of the reasons will persuade a judge to modify an existing order for child support. there is a significant change of circumstances. By far, most people seek a modification because of a significant change of circumstances. So what constitutes a significant change in circumstances for purposes of a modification? Oklahoma courts may modify child support orders where the change will result in at least a 20 percent change in the child support obligation of one or both parents, according to current child support guidelines. Sometimes, this is a change in income. But it can just as easily be other changes that prompt the need for a modification, such as increase in medical insurance costs, court-ordered custody changes, daycare cost increases, and the like. Much of the support guidelines can be determined with use of an online child-support calculator. The Wirth Law Office team has developed an online child-support calculator for those who need to determine child support obligations under the latest law, which we provided to the public at an online Oklahoma law wiki. Contact an Okmulgee child support modification attorney at (918) 756-9600 or toll-free (888) Wirth-Law now for a free consultation at the Wirth Law Office – Okmulgee. Oklahoma law doesn’t automatically entitle parents to modification of child support orders. You will need to file a motion for a modification. And the proposed modification must be in the best interests of the child for the court to grant the motion. Although the state of Oklahoma provides some help for parents who want to represent themselves, that help is limited to informational packets which may be downloaded from the Department of Human Services website. The state does not provide an attorney if you wish to represent yourself in a child support modification petition. The factors that affect child support orders are complex. There are a multitude of factors to look at and questions that must be answered for the judge to grant your petition for modification. Because the area of law is complex, it is best to hire an experienced Okmulgee child support modification attorney to answer your questions, draft the petition and represent you in court. You want to get it right the first time. If you’d like a confidential, no cost consultation with an Okmulgee child support modification attorney, call (918) 756-9600 or toll-free (888) Wirth-Law to speak to the Wirth Law Office – Okmulgee. Or, enter your legal question or concern in the firm at the top right of this page, and one of our attorneys will email or call you.